The first Broadway revival of Lanford Wilson's Burn This opens at the Hudson Theatre on April 16. Michael Mayer directs the production, which began preview performances on March 15. 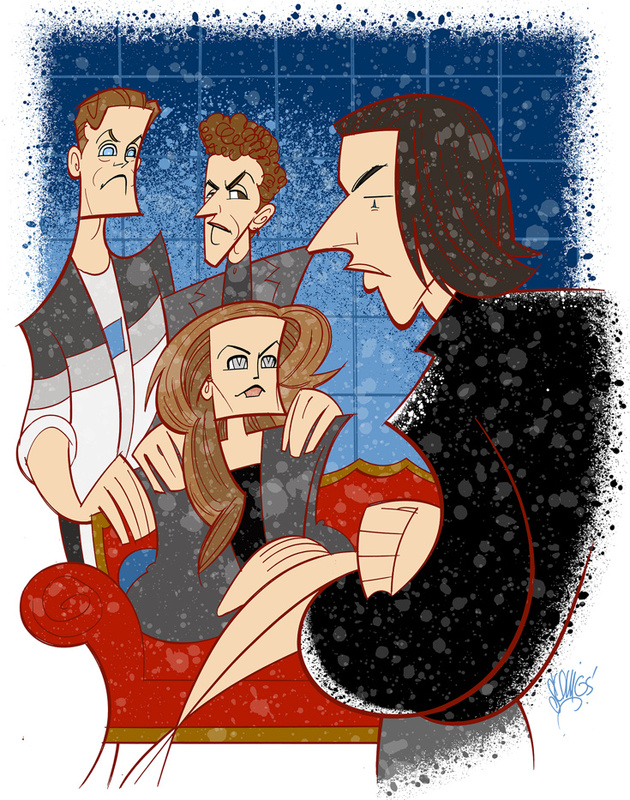 Keri Russell, Adam Driver, Brandon Uranowitz and David Furr star. In celebration of opening night, Broadway.com Resident Artist Justin "Squigs" Robertson sketched a portrait featuring the play's four stars uniting to introduce an iconic American play to a new generation of theatergoers.